While there are many big festivals out there, V Festival has a unique twist where the same group of bands and artists play on Saturday before swopping venues to play the same set on Sunday, with Weston Park in South Staffordshire and Hylands Park in Chelmsford playing host venue. The last few events have seen some great bands and acts including main stage headliners Justin Timberlake and The Killers with Paolo Nutini and Ed Sheeran entertaining the crowds too. Other acts across the two venues and multiple stages have included Elbow, Manic Street Preachers, Blondie, George Ezra, Starsailor, Example, Bastille, Kaiser Chiefs, Lily Allen, Rudimental, Train, Newton Faulkner, M People, The Saturdays, Kasabian, Olly Murs, Hozier, The Courteeners, Annie Mac, Nero, Chvrches, Labrinth, James Bay, Tom Jones, Calvin Harris, the Stereophonics, The Script and Ellie Goulding. Don’t fancy fighting your way in and out of the venue the entire weekend to get to your hotel? Prefer having your own private shower and toilet or getting out of the rain at night? Then why not do it in comfort and style in one of our vehicles?! Whether you’re traveling to Hylands Park or Weston Park, you can select the vehicle for you and we will not only deliver it to the site but our team will ensure they are ready for you to move in for the entirety of these music festivals upon your arrival. We can easily accommodate groups between 2 – 10 people, with our pre-stay shopping service also available, ensuring your cupboards and fridge are stocked with the food and drink you want. So, as long as you already have your V Festival tickets then all you need to do is turn up, unpack and enjoy a weekend full of fun, great bands, luxury accommodation and lashings of entertainment! Our Winnebago and RVs really are a comfortable, hassle-free alternative to traditional guesthouses or campsites with arrival and departure times flexible to suit your timetable. As you’d expect, we offer an all-inclusive service providing 24-hour support throughout your stay. Our units come outfitted with bed linen, towels, kitchen equipment, TV/DVD systems providing all you need for a weekend living the high life. We also offer all customers a complimentary welcome package, including tea, coffee, sugar, milk and other essentials. 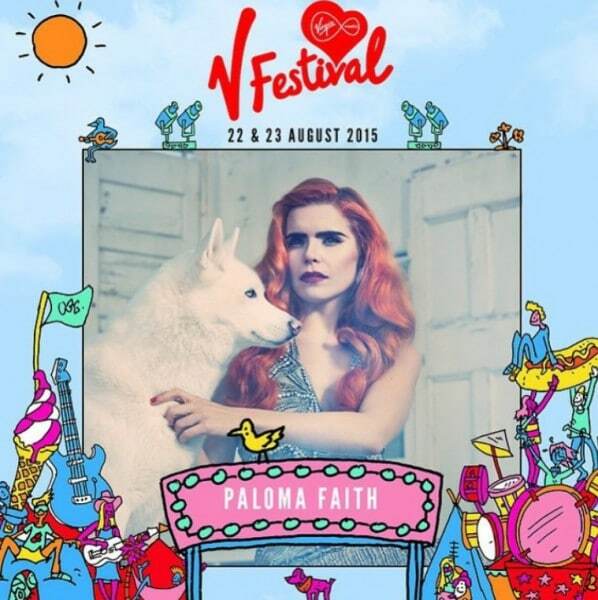 V Festival – what you need to know! 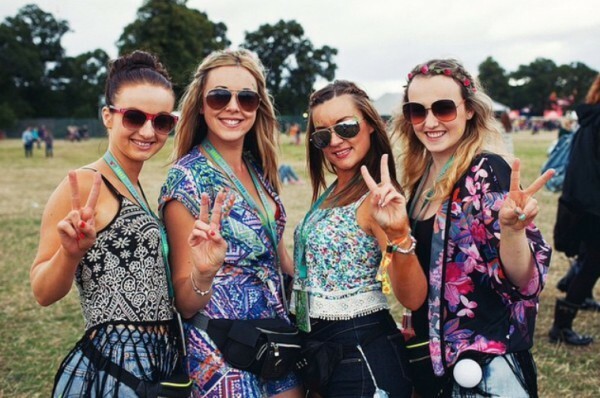 If you feel like camping, then you’ll need to book your camping tickets with your main event V Festival tickets. As you’d expect there are toilets in the campsites and the arena with warm showers located outside of the campsites but it’s worth setting that alarm clock early to avoid big morning queues and low water pressure due to peak usage time. According to the organisers, you’ll need to bring a plastic container that you can refill from the drinking water standpipes in the campsites and arena but if you’re taking a container into the arena you need to ensure it’s no more than 1 litre in size and that its plastic. Or simply purchase water at the catering units throughout the V Festival site. With plenty of frequently emptied bins and recycling areas provided throughout the Festival site and camping areas you’ve got no excuse! Look out for Every Can Counts where you can get your cans recycled, have fun and win prizes. If you’re planning to park at either Weston Park and Hylands Park, you can purchase a weekend parking pass in advance through SEE Tickets on 0844 871 8816 at a cost of £20 per vehicle (plus a maximum booking fee of £1.50) if you arrive on Friday or £10 (plus a maximum booking fee of £1.00) per vehicle per day if you arrive on Saturday or Sunday. When you book in advance you will be sent a sticky pass, which should be displayed on your windscreen prior to arrival at the festival site. If you forget to book in advance, you will be charged £20 to park from Friday or £10 if parking on Saturday or Sunday. Information about food and drink plus prices is particularly hidden on the official website but expect to pay higher than average prices. Avoid spending too much though by buying snacks and food in advance but there’s a strict no glass policy. Saying this, there’s plenty of options and tastes when it comes to purchasing your food and drink at V Festival but if you bring your own alcohol drinks be sure to avoid bringing glass bottles. From questions about wifi and charging mobile phones to bringing children, head to this page on the official V Festival website. Or for a packing list, they have a good page here. From M6 Northbound: Exit at J10a then M54 to J3 to V Festival – Please note there is no access to V Festival via M6 J12 northbound. If you’re travelling from East Anglia follow the A12 to Chelmsford. From the South or West take the M25 and exit at junction 28 to the A12. At Chelmsford, exit from the A12 to the festival site along the A414. Once on the A414 be sure to check the signs and follow the appropriate directions. If you are travelling from the north via the M11 follow the signs from Junction 7 to Chelmsford on the A414. Once at Chelmsford you will pick up the directions for the V Festival. Hylands Park is a few miles form Chelmsford Rail Station so you’ll need to get a taxi.